With the support of a DCA scholarship, Liz is currently a sophomore at Wellesley College, where she is planning to declare her major in computer science with a potential minor in English. As a student at Wellesley College, Liz is enjoying her computer science classes, especially Computer Systems and Hardware, during which she learned about circuits and even built her own computer terminal. Liz has taken advantage of time outside of her academics and is a member of the Wellesley Whiptails, the ultimate frisbee team, as well as a Senator in the college government for her dorm. This year she will be a Residential Advisor (RA). After Wellesley, Liz hopes to work for a major technology company or startup that is making a difference in the world in terms of the environment, education, or mental health. 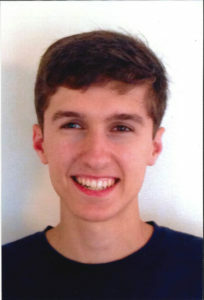 With the support of a DCA scholarship, Michael is currently a sophomore at Bowdoin College, where he is double majoring in math and in government & legal studies, with a minor in economics. Michael finds math a fascinating subject that consistently challenges and rewards him by forcing him to develop new ways of thinking. At Bowdoin, Michael plays for the men’s ultimate frisbee team and serves as club president of his Quiz Bowl team, which he started last year. He also serves as a regional coordinator for the National History Bee and Bowl, a position that got him invited to staff the International History Olympiad in Berlin this July. After working for three weeks, he was able to visit Dresden, Prague, Venice, and Budapest over the span of 12 days, exposing him to an area of the world that he had never seen before. With the support of a DCA scholarship, Brielle is currently a freshman at the University of Miami in Florida, where she is double majoring in marine affairs and communications. Brielle is really enjoying her marine science lab, which includes conducting experiments on the neighboring Virginia Key beach and at the Miami Seaquarium. At “The U,” Brielle has joined the crew team and has become involved in the Propeller Club, a student group that is dedicated to the well-being and enhancement of all interests of the maritime community on a national and international basis. While a student at Darien High School, Brielle participated all four years in multiple sports including the varsity swim team and both track teams (indoor and spring). She qualified for the county and state championships for swimming (breaststroke) and track (both javelin and discus throwing). Brielle was inducted into both the Mu Alpha Theta Mathematics National Honor Society and the National Chinese Honor Society (NCHS). With the support of a DCA scholarship, Peter is currently a senior at Southern Connecticut State University, where he is studying marketing. At Southern, he has been involved in intramural sports including rugby and hockey, the College Republicans Club, and SUMA Marketing Club. 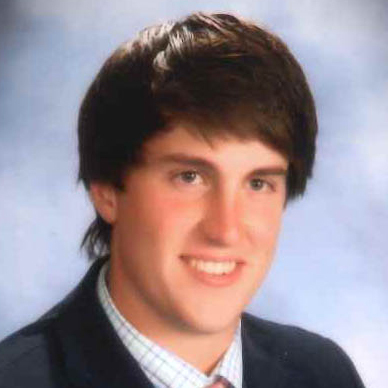 While a student at Darien High School, he played for four years as a linebacker on the football team, and was a member of the hockey and rugby teams, in addition to the DECA business club. Peter also enjoyed volunteering as a “buddy” with the Darien Little League Challenger program for children with special needs, and was the treasurer of the Darien YMCA “Y” Cares Club. In the spring and summer, Peter also worked as an umpire for the Darien Little League. He continues to be involved with community service projects and has volunteered with Southern Days of Service. With the support of a DCA scholarship, Julia is currently a sophomore at The Ohio State University, where she is studying international business. 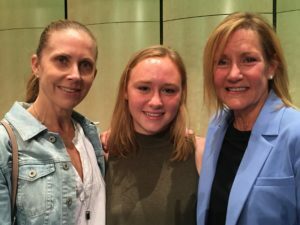 She was the recipient of the Eileen and Tami Hanford Scholarship and the Joy Family Scholarship. 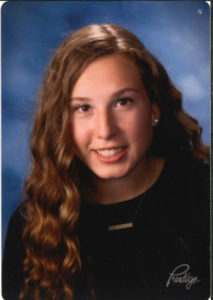 While a student at Darien High School, Julia was involved in multiple sports including varsity soccer, lacrosse and both track teams (indoor and outdoor), where she competed in the high jump, long jump and ran relays. She was a senior captain for indoor track. Julia was inducted into both the National Honor Society and the National Music Honor Society. With the support of a DCA scholarship, Niamani is currently a junior at Amherst College, where she is studying computer science. Niamani hopes to pursue a career creating software and applications that help facilitate learning in classrooms and teach people how to code, especially young girls. Her dream job would be to work for Apple or Nintendo and eventually create/start her own company focused on technology and gaming. While a student at Darien High School, Niamani was on the spring track and field team for all four years, and a senior captain. She also participated in Theater 308 productions as a stage crew member and usher during her four years at the high school, and volunteered weekly at Person-to-Person. With the help of a DCA scholarship, twin sisters Christina and Laura Boccadoro are currently seniors at Quinnipiac University. At Darien High School, Christina was a member of the track team, the Big Brother Big Sister program, and the Fuel Cell Team. This team competed in the national Shell Eco-Marathon, at which high school students vie for the award of designing the most fuel-efficient car (Christina was the team’s driver). At Quinnipiac, she is pursuing a degree in computer information systems. She is a member of the Gamma Phi Beta sorority and is a student ambassador for the admissions office. 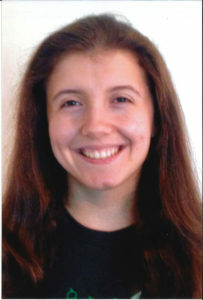 Laura also participated in track and Big Brother Big Sister, and played clarinet in the Darien High School Honors Band. She is majoring in health sciences at Quinnipiac, and recently acquired her EMT certification. She plans to continue her education after college at medical school or another career in health sciences. She is a student ambassador on campus and a charter member of the Gamma Phi Beta sorority.